Accustomed to dominating the online poker market since 2006, PokerStars may get shut out of the U.S. market after a New Jersey judge’s ruling. Judge Raymond Batten shattered PokerStars’ plan to purchase the Atlantic Club when he sided in favor of the casino and ruled that the acquisition agreement between the parties can be terminated by Colony Capital, the casino owners. Batten lifted the temporary restraining order (TRO) that he had previously granted to PokerStars, clearing the way for the Atlantic Club to pursue other offers for the casino. The ruling centered around language in the agreement that required PokerStars to obtain a casino gaming license by a deadline of April 26. 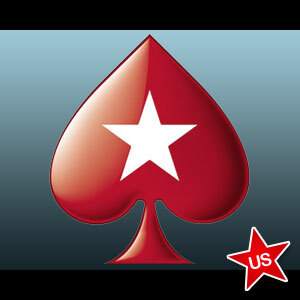 PokerStars’ application for said license was not completed until April 10. The New Jersey Division of Gaming Enforcement has 90 days from April 10 to investigate the applicant’s suitability and the state Casino Control Commission has another 30 days in which to make a decision. That would allow a determination to be due some time in August. The Atlantic Club successfully argued that waiting around until August would hurt their chances of finding another buyer prior to the expected launch of online poker and gambling in the state in November. In support of that argument, the Atlantic Club pointed out that PokerStars’ odds of being found a suitable licensee may be slim due to allegations of being less than ethical for flouting the UIGEA and continuing to cater to the U.S. market some seven years ago. PokerStars’ lawyers told Judge Batten that $11 million of the Atlantic Club’s $15 million purchase price had already been paid to keep the casino operating since December. Another $32 million was earmarked for paying off a shortfall in a casino employee pension fund once PokerStars physically took over the property. But the judge found that the Atlantic Club could rightfully terminate the contract. The $11 million must not be repaid as it was a risk taken by PokerStars in hopes of securing a casino license in timely fashion and eventually entering New Jersey’s newly-regulated Internet gaming market. The contract also calls for PokerStars to pay a termination fee of $4 million. This may land the parties back in court, as PokerStars is expected to contend such payment after already losing $11 million with nothing to show for it. A company spokesperson said that attorneys for PokerStars are reviewing Judge Batten’s decision and remain commited to entering the U.S. online poker market via New Jersey. The Atlantic Club can now legally entertain offers from other potential buyers. The struggling casino had been on the shopping block for quite some time before PokerStars stepped in with a low bid. However, that agreement was brokered before online gambling legislation had been signed by Governor Chris Christie. Gambling revenue in New Jersey is expected to increase tremendously with the approval of Internet wagering and the value of the Atlantic Club and other boardwalk casinos has likely skyrocketed as a result. Rumors have been swirling regarding new prospective buyers of the casino. Who that buyer may eventually be is anybody’s guess at this point. One thing that is certain is that the American Gaming Association is ecstatic over Judge Batten’s ruling. The AGA vehemently opposed PokerStars as a buyer in a strongly-worded petition to state gaming officials a couple of months ago. The AGA represents many of the country’s land-based casinos and wanted to protect those casinos from having to compete against PokerStars in the U.S. online poker marketplace.